“In 2015, we campaigned against GEJ for paying fuel subsidy at 30milion liters/day for a daily consumption of 20million liters. Today the APC is paying for 50million barrels on daily consumption in a situation in which it is inconceivable that Nigeria can consume up to 30 million liters per day”-Senate President Bukola Saraki. In the unraveling of the Muhammadu Buhari Presidency, it is difficult not to read the vindication of President Goodluck Jonathan. Bad as the Jonathan’s government was made to look, there are no indices of comparison in which this government has not fared worse. Given the comprehensive and almost inexplicable failure of the Buhari government there is the temptation to seek recourse in the metaphysical rationalisation that there is the element of karma at play here. Rising above his disappointment at the loss of power in 2015, Jonathan was full of good faith and goodwill in his acceptance of defeat and the obligation of gracefully turning over the reins of government to his opponent. As we have come to learn, though, the maneuverings that secured the victory for Buhari were not totally transparent and above board-the shenanigans in Kano inclusive of the mysterious death of the resident electoral commissioner and his family in a conflagration, is illustrative. The coincidence is also striking that the commissioner of police in Kano State at this crucial period was no less the incumbent Inspector General of Police, Ibrahim Idris. Top among the explanations for his meteoric elevation to the apex of police authority is the interpretation that it can only logically be a deliberate reward for special services rendered. In turn, he has reciprocated the gesture with naked Buhari and APC partisanship. A lot of Nigerians have wondered at the ease and readiness with which President Olusegun Obasanjo reconciled and endorsed the presidential candidacy of his former deputy and main opponent of Buhari in the forthcoming presidential election, Atiku Abubakar. The explanation for this retraction is self-evident in the present danger that the reelection of Buhari, more than any other contender in memory, poses to Nigeria. With regards to the 2015 Buhari choice, there is a lesson to learn in the fact that almost all the critical stakeholders who rallied to his support have had cause to regret their role in aiding and abetting the election of Buhari especially Obasanjo. 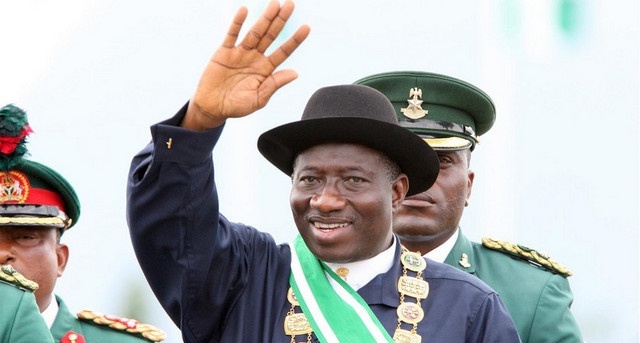 As President, Jonathan had his conspicuous shortcomings and inadequacies but a lot of these were also exaggerated and contrived-yet he bore no grudge and happily joined Nigerians and international well-wishers (who had sold themselves a dummy) in the consecration of his successor as the long awaited messiah. But how has this gesture be reciprocated? Bereft of basic decency and honesty his successor chose to exploit him as the perpetual fall guy for their unmitigated governance failure. I don’t know how the presidential spokesman would feel after he might have had time to reflect on this clownish extenuation of an outright signal failure of the Buhari government. The implication of Shehu’s peculiar rationalisation is, no less, the attribution of omniscience and omnipresence to the former President Jonathan (who while in retirement was still able to determine the fate and destiny of his successor) corresponding to the abject helplessness of the incumbent president to own its tenure and stewardship. And since Jonathan has been designated with the unique power to determine Buhari’s failures, the corollary is that he is equally invested with the power to enable the successes of the Buhari regime-if any. To be fair to Shehu, he was just toeing the escapist path charted by his principals. You will recall the laughter that greeted the concluding remarks of Osinbajo at the vice presidential debate when-as tendentious, he had to apologise for the failure of their administration with, you guess right, the 16 years of PDP! Earlier in the week, President Buhari had an interview with the Arise Television network (he would not consent to a live interview-for obvious reasons) that was remarkably characterised with incoherence, absent mindedness and falsehood. Against the background of the fixation with the Jonathan government, one of the lines that struck most was the proprietary claim he staked to the transformation of the agricultural sector, which, according to the president, is attested in the attainment of food security and near zero importation of Nigeria’s staple diet, rice. One of the precursors to sustained economic development is continuity of inherited developmental projects and policies and so buhari could legitimately take credit for the conclusion of whatever projects he inherited from his predecessor. What is questionable is the penchant of this government to lay exclusive franchise to inherited projects to which it has little or no contribution. Here is the testimony of the President of the World Food Prize Foundation, Mr Kenneth Quinn, on the occasion of investing former Nigerian Minister of Agriculture, Akinwunmi Adesina, with the World Food Security Prize award “Although, Adesina is now President of the African Development Bank (AfDB), his breakthrough achievements as Minister of agriculture of Nigeria also helped him win the prize… As Nigeria’s Minister of Agriculture from 2011 to 2015, Adesina successfully transformed his country’s agriculture sector through bold reforms… he introduced the E-Wallet system which broke the back of the corrupt elements that had controlled the fertilizer distribution system for 40 years…The reforms he implemented increased food production by 21 million metric tonnes and attracted 5.6 billion dollars in private sector investments, thus earning him the reputation as the ‘Farmer’s Minister…Mr. Quinn said the bold reforms included creating programmes to make Nigeria self-sufficient in rice production, and to make cassava become a major cash crop”. The above was the asset (in the Agricultural sector) that this government inherited on assumption of office in 2015 and the last time I checked, the personality who bore this testimony was neither a Nigerian nor a member of the PDP. Given the crisis ridden tenure of the incumbent Minister of Agriculture, Mr Audu Ogbe, especially the self-inflicted distraction of government intervention in the Fulani herdsmen crisis, it is doubtful the minister would have had sufficient capacity left to do anything meaningful and substantial in his primary task of attending to the development of agriculture. He would most likely be remembered for the introduction and deployment of the cattle colony innovation-which totally consumed his attention. In his typical muddled and somewhat primitive turn of mind, the president has a way of flaunting his ignorance at how modern economies work. He exhibited this dysfunction (in the Arise television parley) by attributing the uptick in agricultural harvest to the intervention of a providential abundance of rainfall in the past three harvest seasons rather than innovative policies. I have cited this personal inadequacy on account of the fact that this is not a one off gaffe, the President has repeatedly harped on this logic whenever he is minded to comment on the fortunes of the agricultural sector during his tenure. So, in the twenty first century, Nigeria has the albatross of a president who predicates agricultural development on rain-fed policies. In the same television appearance, the president exclaimed, in righteous indignation, how, in the 16 years of stewardship, the PDP recorded zero achievement in infrastructural development including road construction and referred his interviewers to the Power, Works and Housing Minister, Babatunde Fashola for corroboration. Partly on account of phobia for flying I frequently ply the road from Lagos to Abuja with stop-over at home in Ekiti. The journey goes through Lagos-Ibadan-Ilesha-Ekiti-Kabba-Okene-Lokoja-Abuja. When I moved to Abuja in 2002, the long stretch between Lokoja and Abuja was a two lane highway. In the timespan between 2002 and 2015 that road has been dualised and repeatedly improved including major works on the Gwagwalada township section; upwards of 25% of the reconstruction of the Lagos-Ibadan expressway had been accomplished; the Ibadan-Ilesha segment had undergone repeated rehabilitation; the Ilesha-Akure axis had been reconstructed. Four years on, beyond the current modest contribution to the Lagos-Ibadan rehabilitation, the greater part of this road network has suffered neglect and degenerated palpably-not to talk of the war zone degradation of the roadway to the Apapa ports nerve centre of the Nigerian economy. So the question is Where exactly are the evidences that entitle this government to bragging rights on infrastructural development? Are they to be found in the commissioning of airports development in Port Harcourt and Abuja or the commissioning of the Abuja-Kaduna railroad? How does a President who commissioned these landmark achievements of his predecessor wake up the following day and with a straight face claim that no infrastructural development took place under the PDP administration?